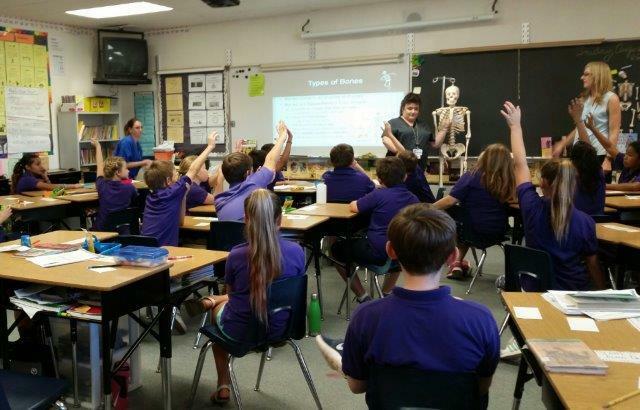 Mrs. Cook's 5th grade class at Camp Mohave enjoyed a lesson on the human skeletal system. The lesson was presented by representatives, Lisa Townsend and Michelle Wozniak-Wicks, from Valley View Medical Center. Students enjoyed learning about the bones and all of the components that work together to move our bodies. They also learned about bone injuries and disorders. The students were joined by a mystery skeleton guest.